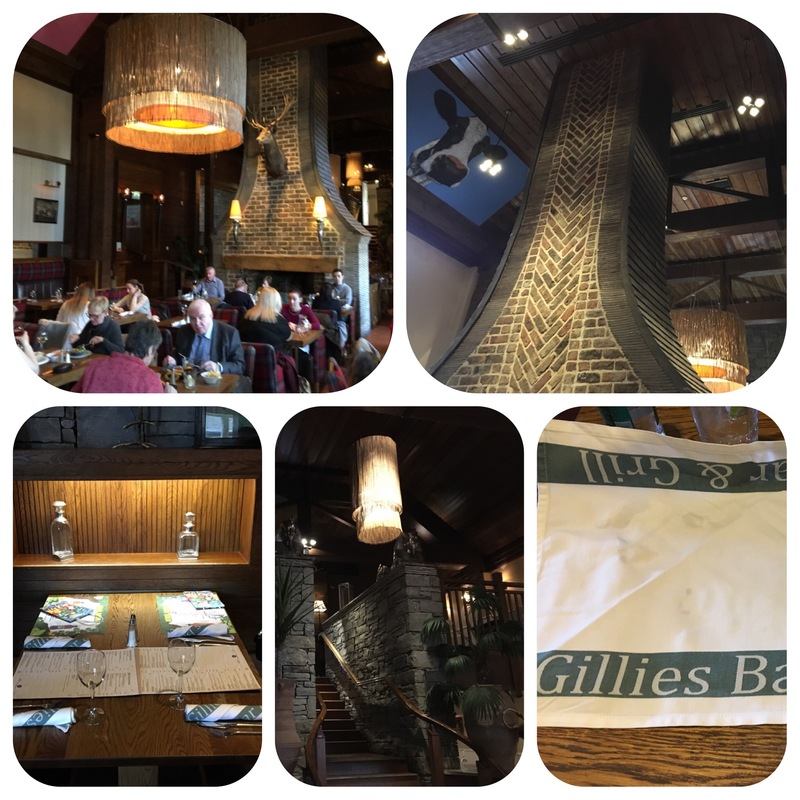 My family (wife and two daughters) came to Gillies Bar & Grill for a truly wonderful lunch. Just so happened that it was on the day of Chinese New Year (Rooster). So we thought we would celebrate by having some Chinese food and on looking at the menu there was quite a choice of worldly cuisines to pick from!! There was a real global feel to the menu. 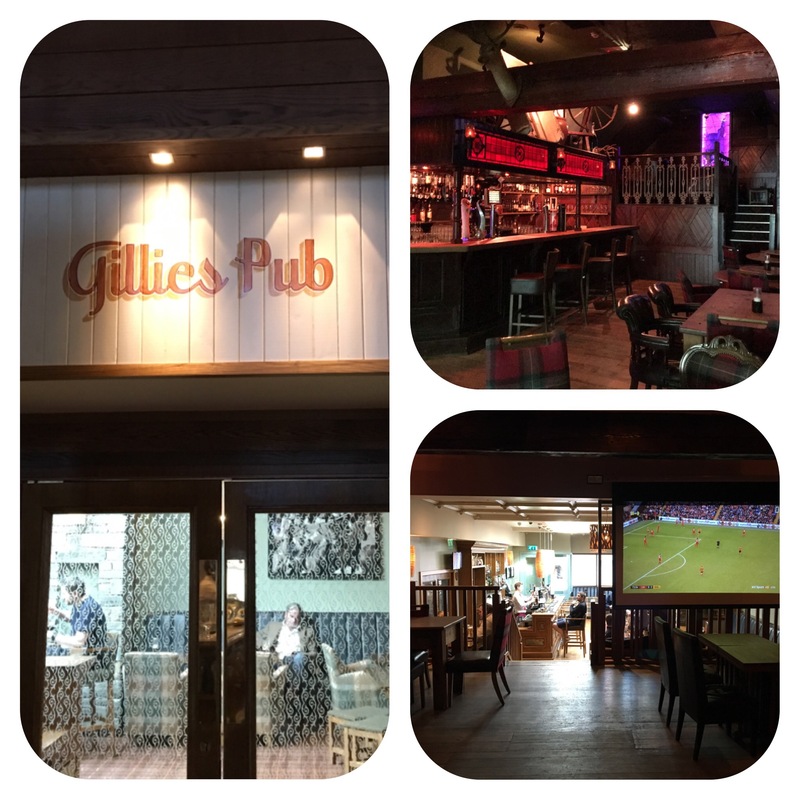 Gillies is a 140 seater bar/grill which is part of the Galgorm Hotel & Spa complex. It has its own separate driveway entrance and an internal entrance from the hotel. It is split over 3 levels and on busy days people can dine in the bar. 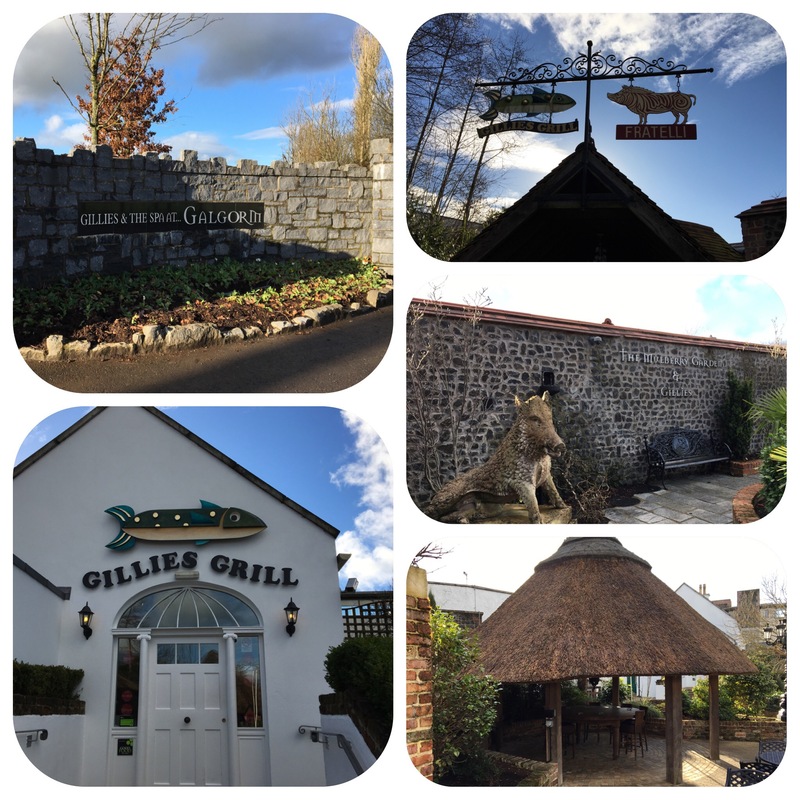 We parked in the restaurant car park and walked through the well kept garden area and past Fratelli’s restaurant to get to the grill. Our table was booked for 13.30 and when we arrived the main dining area was packed and there was a super atmosphere. The restaurant area is very well laid out with a definite theme of farm animals painted on the high ceilings and walls and a huge centre piece chimney/fire place. On arrival we were shown to our reserved table which had two kids menus and two adult menus already on the table. Main course cutlery was wrapped in a large napkin with a chocolate enclosed-great touch!! 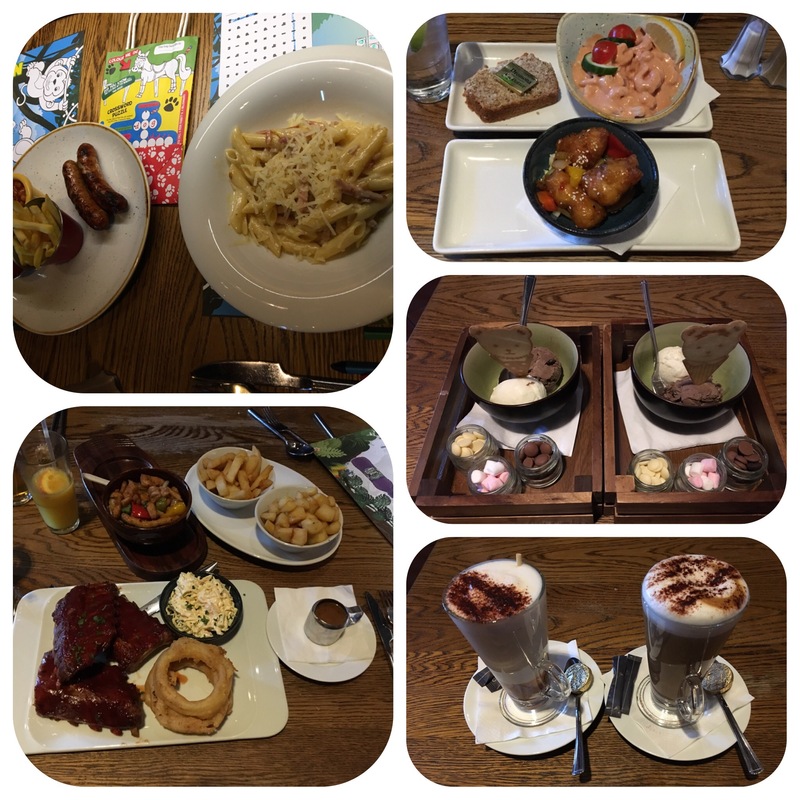 We ordered pork and leek sausages and skinny fries with beans and pasta carbonara for the kids whilst my wife and I had starters of prawn cocktail and Bang Bang chicken. Firstly we asked for kids meals to come with our starters which happened and we divided the kids meals so they could share. The sausages were delicious as was the pasta and our prawn cocktail and chicken was amazing, there was a drizzle of satay sauce on the chicken which enhanced the dish. For mains my wife ordered salt and chilli chicken and chips and I had the ribs which came with onion rings and creamy coleslaw with garlic potatoes and pepper sauce. My ribs were really “melt in your mouth” and the sides were a great accompaniment. My wife’s chicken was exactly like Chinese chefs cook it with a nice soy sauce flavour. For dessert the girls had ice cream with marshmallow and chocolate drops-so between that ant the fruit juices was sugar overload!!!! I had a caramel latte and wife had hot chocolate orange. The food, environment and service was absolutely superb. 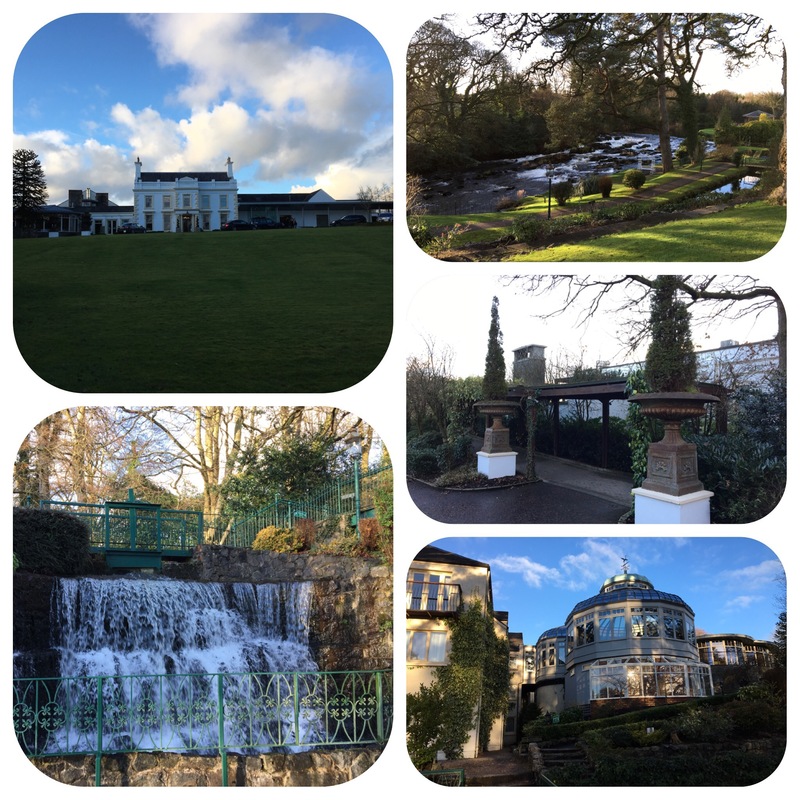 We spent a while in the grounds walking it all off and reminiscing my little sisters wedding which took place in the Great Hall-my two daughters loved the gardens and the river and waterfall whilst we were eyeing up the outdoor thermal spa. We shall definitely be back to check out the hotel, spa and other restaurants in the future. Check my blog for all pictures. Looks gorgeous. Nice menu for the kids too. Amazing, the whole complex is fab!!!!! Happy Lunar new Year to you as well. I had a mixed Western / Asian lunch at home for about 15 friends on Sunday but forgot (!) to take any photos of the food – Barbecued and butterflied leg of lamb with thyme and rosemary, twice-cooked pork belly with hard boiled eggs, chicken drumsticks flash fried and then marinated in fish sauce and cooked again and pork casserole with beans and tomatoes. Don’t know where I will be back in Ireland – maybe August this year? 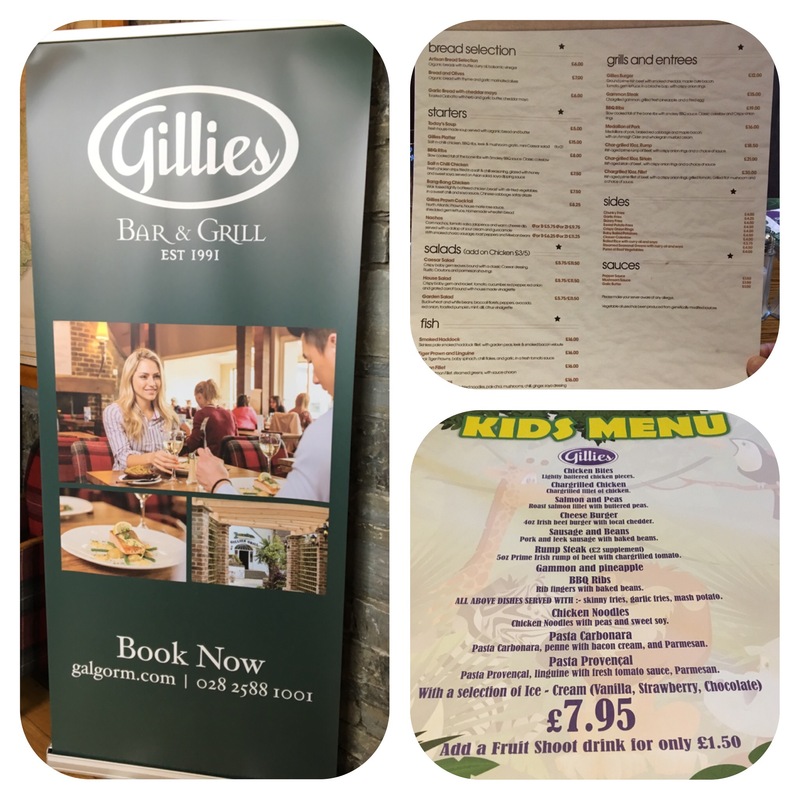 – to sample the restaurants you mention but I look forward to your take on food and restaurants, including Gillies. Well done.